South Florida is a magnet for celebrities, catering to fashion designers, star athletes and international artists alike. Luxury homes in Miami Beach, Coconut Grove and Southwest Ranches have been among the recent hot spots for buying, selling and listing of real estate by celebs. The Real Deal took a look at what’s been trading among the A-listers. This Miami Beach home swap was a deal made in celebrity heaven: When Jennifer Lopez’s former estate was put up for sale for $37.5 million, Phil Collins must have “felt it in the air.” He closed on the property for $33 million in June, purchasing it from health care executive Mark Gainor (who had picked it up from Lopez in 2005). Collins now has a 12,153-square-foot mansion that dates from 1929, outfitted with a pool and a Jacuzzi. EWM’s Nelson Gonzalez represented the seller. Mathieu Rochette of Barclay’s Real Estate Group represented Collins for the sale of 5800 North Bay Road. New York Yankees slugger Alex Rodriguez bought a 3,200-square-foot penthouse at GranParaiso in Miami’s Edgewater district. The Related Group wouldn’t disclose the price but said similar units go for more than $4 million. A-Rod’s flow-through unit on the 53rd floor will have 12-foot ceilings. His neighbors? Record producer David Guetta, San Antonio Spurs player Manu Ginóbili and tennis champ Arantxa Sánchez Vicario. Surgeon, author and TV personality Dr. Mehmet Oz bought an $18 million waterfront mansion in Palm Beach on 1.5 acres earlier this fall. Designed by noted architect Addison Mizner and built in 1919, the landmarked residence is at 473 North County Road. Global tennis superstar Serena Williams scored a new home in Palm Beach Gardens for $2.5 million. Williams purchased the 1.25-acre property at 7703 Bold Lad Road in May. The residence was completed in late 2014. Fashion designer Calvin Klein is hoping to unload his North Bay Road mansion. In May, he listed the five-bedroom, seven-bathroom compound at 4452 North Bay Road for $16 million. Klein has said he wants to sell the property and move to Hollywood Hills. “I hate to use the word ‘unique,’ but I have never seen another house like it,” Klein told Page Six. “I want to sell it to someone who appreciates the aesthetic.” Built in 1929, the home has a “private waterfront sanctuary,” with a dock and infinity pool, as well as 113 feet of open bay views, according to Douglas Elliman. Designer Axel Vervoordt chose the antiques and furnishings (which can be negotiated separately). With its indoor and outdoor living space totaling nearly 8,000 square feet, the home sits on a 16,709-square-foot lot. 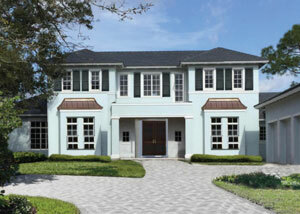 Douglas Elliman’s Pablo Alfaro is serving as the listing agent. 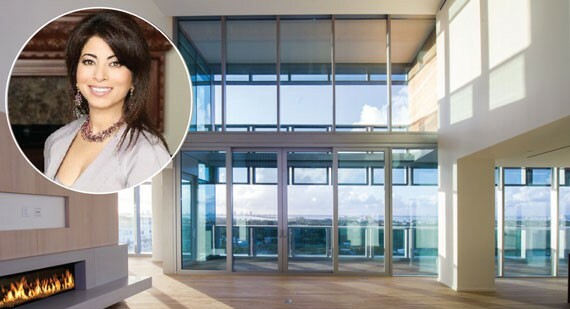 Bollywood actress and businesswoman Poonam Khubani listed her penthouse at the swanky Miami Beach Edition for $27.5 million in September, about nine months after purchasing it. Khubani spent $16.5 million for the 5,246-square-foot unit in December. Laura Cresto, Chad Carroll and Devin Kay of Douglas Elliman have listed the property. Former NFL cornerback Asante Samuel sold “the Compound,” his Southwest Ranches estate, for $7.5 million in early October. Listing agent Ben Moss of One Sotheby’s International Realty told The Real Deal the athlete custom-built the home but then decided it was too big for his needs. The 18,000-square-foot mansion at 5300 Ascot Terrace has nine bedrooms, 11 bathrooms, two half-bathrooms, a 10-car garage and a massive pool. The pool is decked out with a grotto that sports two flat-screen TVs inside; there’s also a water-slide, a spa and a fire pit. The 5-acre property is inside the gated Landmark Branch Estates, which is somewhat of a celebrity haven. Dwayne “the Rock” Johnson is among the handful of professional athletes residing there. Oklahoma City basketball player Kevin Durant sold his 3,800-square-foot condo at 900 Biscayne Bay in May. 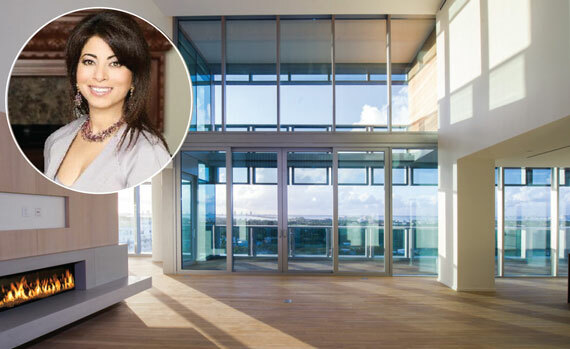 A Colombian investor paid $3.15 million for the penthouse and is leasing it for $18,000 a month, which is a record for downtown Miami. Listing agent Michael Light expects the property to hit the market again in November.